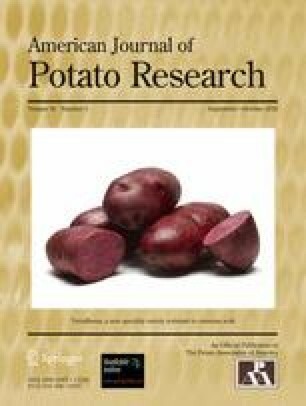 The RB gene, which was cloned from the wild potato species Solanum bulbocastanum, confers a high level of broad spectrum resistance to various strains of Phytophthora infestans, the causal agent of potato late blight. The level of RB-mediated resistance is correlated with the amount of RB transcripts in transgenic potato lines containing RB gene(s) driven by its native promoter. To assess whether the level of RB-mediated resistance can be further enhanced by overexpression of the RB gene, multiple transgenic potato lines containing RB gene(s) driven by the cauliflower mosaic virus (CaMV) 35S promoter were developed. Surprisingly, all 35S::RB transgenic lines with one or several copies of the RB gene showed a similar level of late blight resistance. In parallel, a statistically similar amount of RB transcript was observed among all resistant transgenic lines with different copy numbers of the RB gene. In addition, the levels of RB gene transcription in the 35S::RB transgenic potato lines were the same or lower than in transgenic lines containing the RB gene driven by its native promoter. Thus, developing transgenic potato lines using RB with the native promoter will be the best approach to deploy this gene for combating late blight. El gen RB, que fue clonado de la especie silvestre de papa Solanum bulbocastanum, confiere un alto nivel y amplio espectro de resistencia a variantes de Phytophthora infestans, el agente causal del tizón tardío de la papa. El nivel de la resistencia mediada por el RB esta correlacionada con la cantidad de transcriptos de RB en líneas de papa transgénica que contiene gen(es) RB impulsados por el promotor nativo. Para evaluar si el nivel de resistencia mediada por RB puede aumentarse más mediante su sobreexpresión, se desarrollaron múltiples líneas transgénicas de papa con gen(es) RB conducidos por el virus mosaico de la coliflor (CaMV) 35S como promotor. Sorpresivamente, todas las líneas transgénicas 35S::RB con una o varias copias del gen RB mostraron un nivel similar de resistencia al tizón tardío. Paralelamente, se observó una cantidad similar estadísticamente del transcripto RB entre todas las líneas transgénicas resistentes con diferente número de copias del gen RB. Además, los niveles de transcripción del gen RB en las líneas transgénicas de papa 35S::RB fueron los mismos o más bajos que en las líneas transgénicas con el gen RB impulsado por su promotor nativo. De aquí que el desarrollo de líneas transgénicas de papa usando RB con su promotor nativo será la mejor estrategia para utilizar este gen en el combate al tizón tardío. We thank James Bradeen and Dennis Halterman for valuable comments on the manuscript. This research was supported partially by Hatch funds to J.J. L.W. was partially supported by National Natural Science Foundation of China (NO.31300127) and Research Program of science and technology at Universities of Inner Mongolia Autonomous Region (NJZY12002). The experiments comply with the current laws of United States of America and People’s Republic of China in which they were performed.